Please watch this video: http://youtu.be/3uR8R8Mu70Q, http://koreandogs.org/dmp/. There is no appropriate animal protection legislation to prevent the animal cruelty currently taking place in South Korea. As someone who believes strongly that animals should not be treated in this way, I request that your organization investigate and address this issue immediately. Please impose a sanction on the South Korean government until they strengthen the Animal Protection Law to prevent animal cruelty and to introduce basic animal protection regulations. It must also provide penalties for violations and ensure that mistreated animals can be legally seized from abusers and given immediate refuge. I request that the United Nations strongly urge the South Korean Government to create an enforceable law to ban the torture, killing, sale, and consumption of dogs and cats. 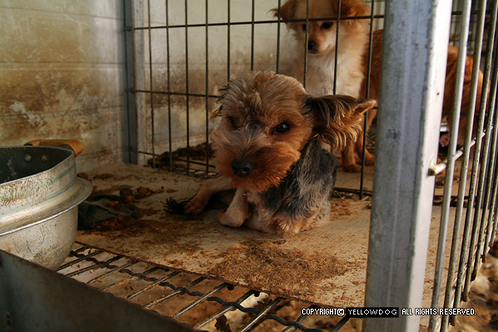 Please don’t let the South Korean government get away with this outrageous cruelty to the companion animals.